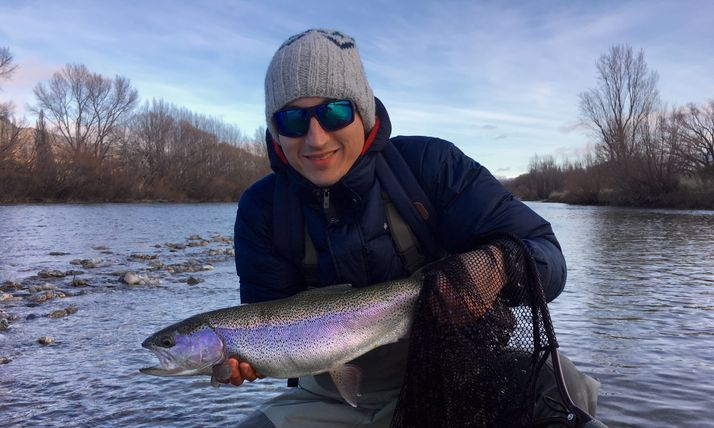 Winter fishing is a specialist activity, and so you need a guide who is in touch with the changing dynamics of our rivers, weather variations and their effect on migrating, cold water trout, modern equipment and cutting edge techniques. Your summertime nymph box and dry/dropper tactics just wont cut it. Chris is a Fly Fishers International certified instructor, full time Professional Fishing Guide of 14 years, and the Marketing and Promotions Ambassador for Manic Tackle Project. 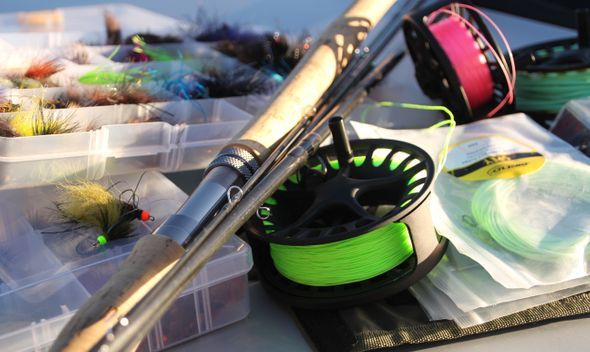 It is his job to stay ahead of the game and he employs this approach in his everyday flyfishing and guiding with the most modern of equipment, techniques and mindset. My rates for the 2018 Winter season are $850.00 NZD per day, and half day local options are available. This includes full professional guiding and qualified casting tuition for either one or two anglers, rods, leaders, flies and associated equipment as required, a light lunch ( bottle water and a muffin, or a sausage sizzle or similar ), DOC concessions, safety and risk management and high resolution digital images of your day, sent to email. Quality SIMMS wader and boot hire is included in this rate. 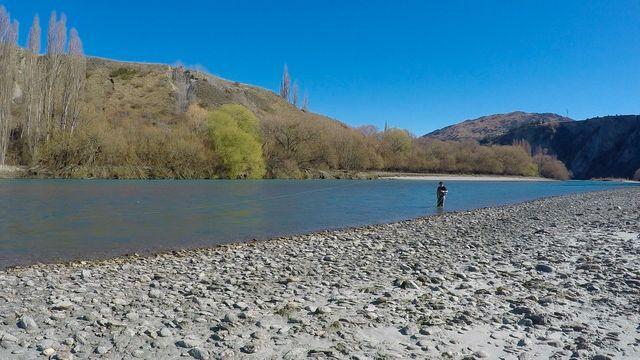 A full day allows for around 6 hours actual fishing time depending on location, and between 30 – 90 minutes drive time each way ex Queenstown, depending on where we choose to fish on the day. 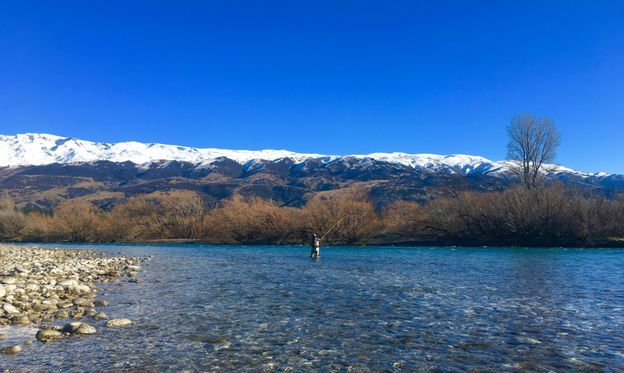 Winter fishing can either be on one of our larger river systems, around the productive rivermouths flowing into our Southern Lakes, or on a smaller, alpine lake. The weather, conditions and prospects for better fishing dictate largely where we fish. 90 minute Single, and double hand fly casting lessons performed on grass. 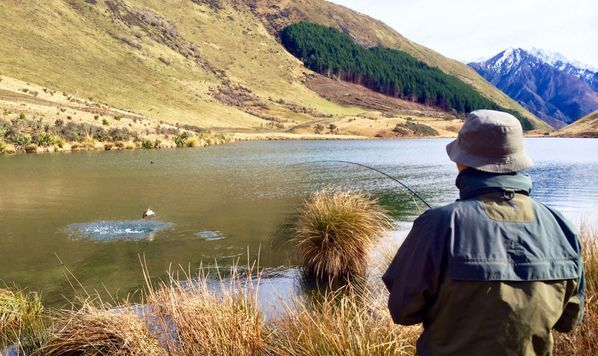 There is so much more to Queenstown than shredding the snow over the winter months. Plan a day, a half day, or a few hours with Chris improving your technique and chasing some world class brown and rainbow trout in some of the worlds most breathtaking scenery.